Finally. Warm weather is finally here in Minnesota! I know parts of the country have been having ridiculous heat waves recently, but we’ve been waiting (not-so-very) patiently for the weather to get nice here. Yesterday it finally did, and it was glorious! It’s remarkable to see the change in attitude and manners once decent weather shows up. Everyone– and I mean everyone– is just so much happier and more pleasant. It’ll be another story once the high heat and humidity eventually find their way here. I did my best yesterday to blind people with my extremely white Minnesota legs. Not that this is any different than later in the summer. I basically vary between stark white and just very pale. Years ago I wished I had more color, but now I’m fine with my lack of sun-induced color, so I’ll continue to lather on the sunscreen. Where was I going with all of this? 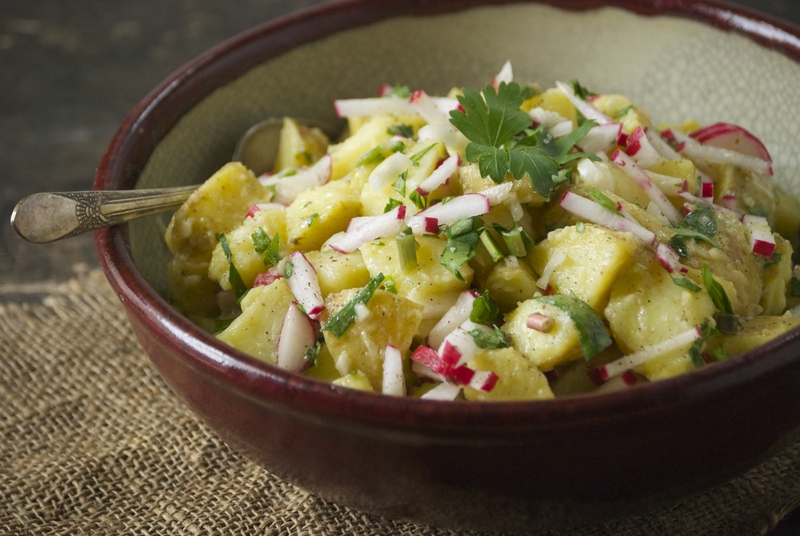 Oh yeah… summer, heat, shorts….potato salad! 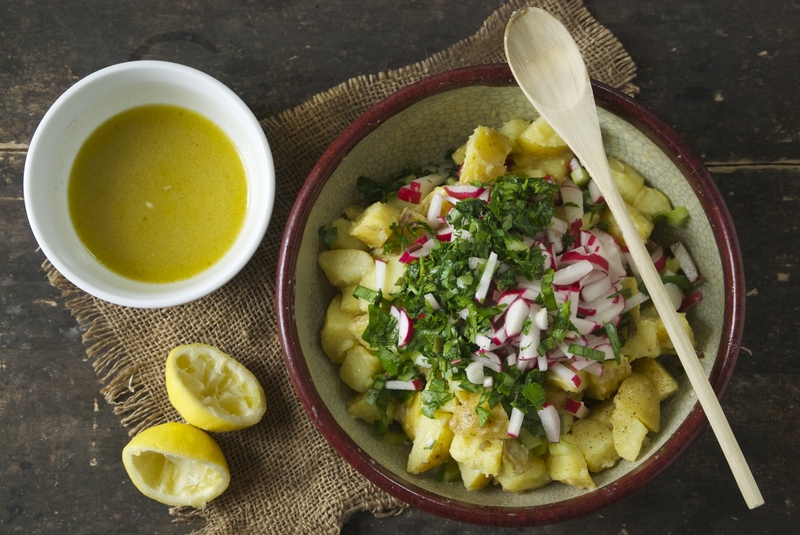 Grilling last night was a no-brainer, so I made a bowl of one of my favorite summer potato salads to kick off the season. In this version, I’ve accompanied the potatoes with spring ramps, radishes, celery, and parsley. Ramps are fabulous, but are around for such a short time, scallions replace them when they are no longer available. 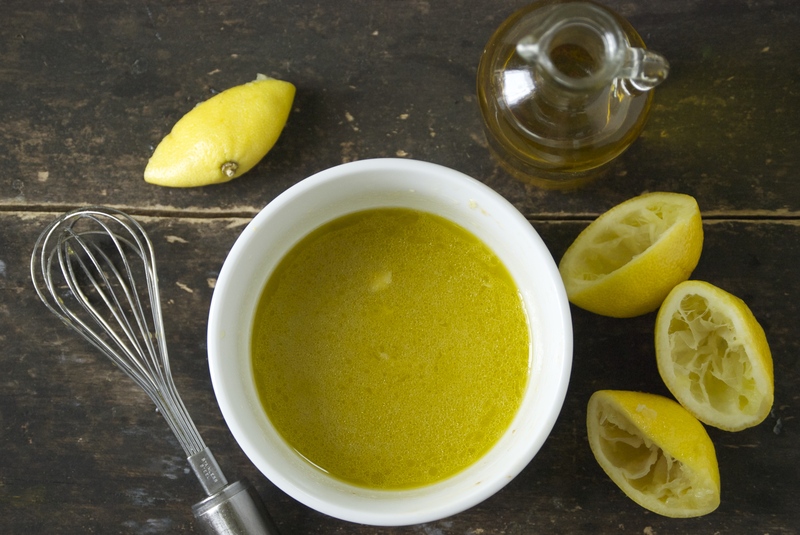 A delicate dressing of lemon, olive oil, garlic, and anchovies is poured on the warm yellow potatoes to really saturate them with flavor. The crunchy vegetables are added later, once the potatoes have cooled a bit, then the remaining dressing is added. 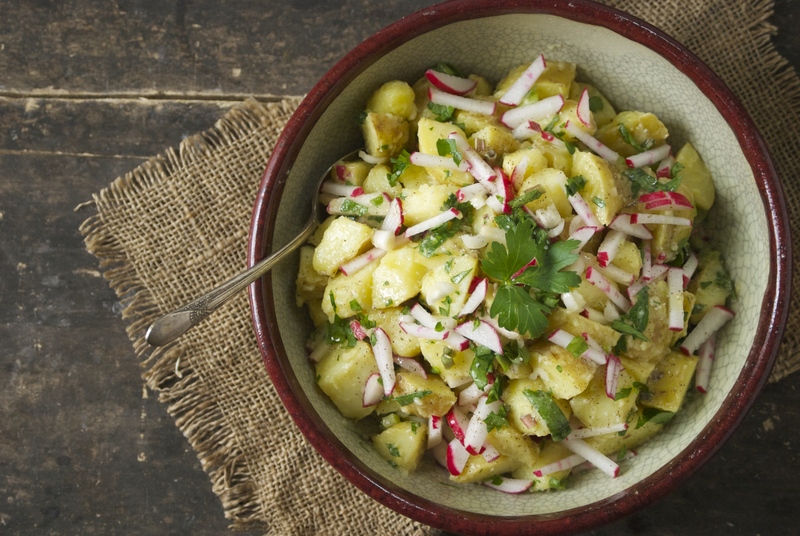 This potato salad gets better and better the longer it sits. And it’s perfect for picnics since it doesn’t contain any dairy. I hope you give it a try! Place a steamer in a large saucepan. Add a bit of water to the bottom. Add the potatoes and steam until potatoes are nearly done. Turn off the burner and keep the cover on for an additional 10-15 minutes to ensure the potatoes are fully cooked. This technique keeps the potatoes from being loaded with water, which sometimes happens when boiled, and from being over-cooked which can lead to mushiness. Check them after 10 minutes, and if they’re tender, remove the lid. 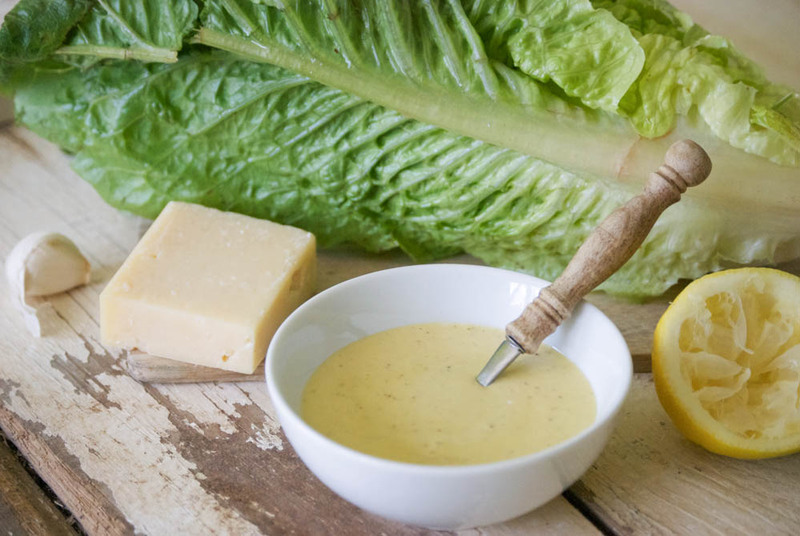 Meanwhile, make the dressing. 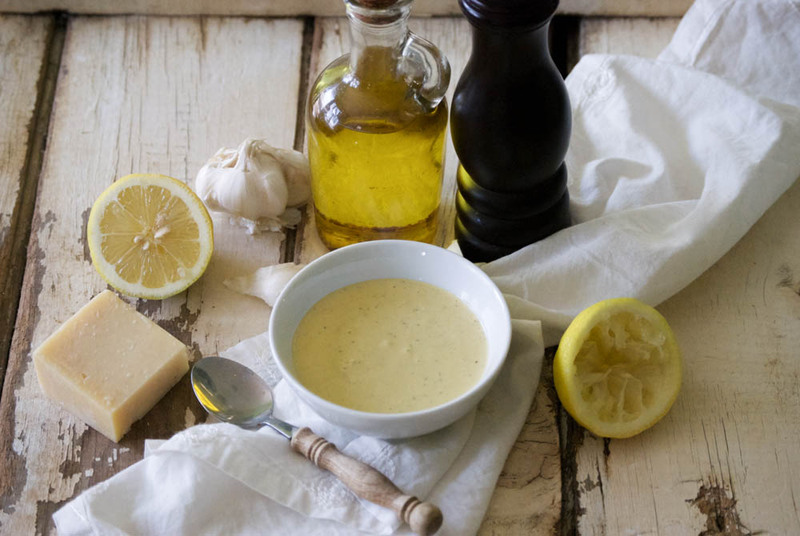 In a medium bowl, add the garlic, anchovies, Dijon, lemon juice, and pinch of salt and pepper. Whisk. Then slowly add the olive oil, whisking the entire time. Adjust seasonings, if necessary. Remember that potatoes require a bit of salt to let their flavor shine through. However, the anchovies will supply a lot of that saltiness, so I generally wait to make a final judgment about adding more salt until the potato salad has been refrigerated and the flavors have had a chance to meld together. When the potatoes are done steaming, add them to a large bowl and pour about 2/3 of the dressing over them while they are hot. Use a rubber spatula to gently fold the potatoes and dressing together. 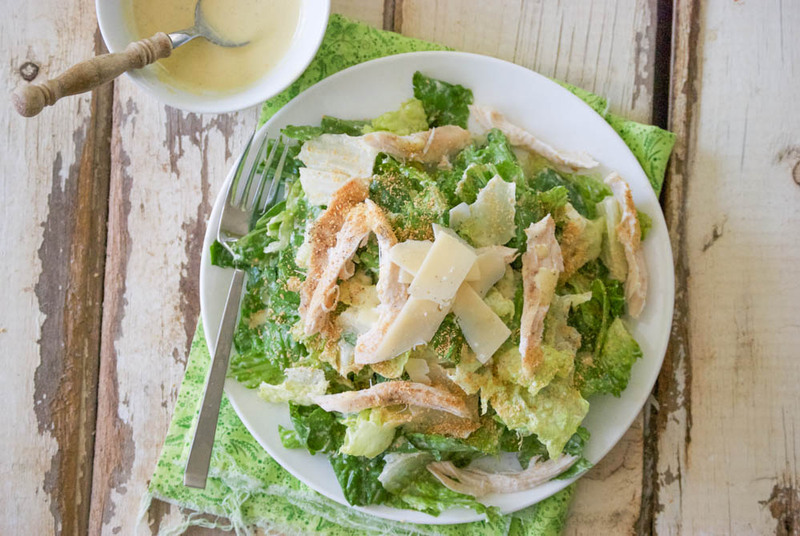 Let sit until mostly cool, then add the vegetables and the remainder of the dressing. Fold everything together, cover with plastic wrap, and refrigerate for a couple of hours. When ready to serve, let it come to room temperature– the flavors are brighter when they are not completely cold. 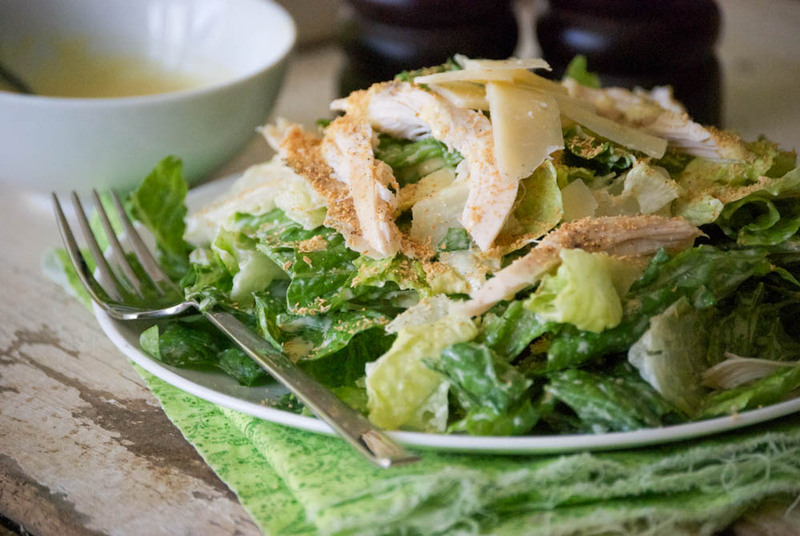 Sprinkle with a crunchy sea salt before serving. Enjoy! I’ve mentioned here more than once that as the weather warms, I try to prepare more simple, fresh foods. This spread is a perfect example. I love peas. Their slightly sweet flavor, that beautiful pop of color– they make every dish better. When they start to become available at the local farmers markets, we eat them by the pound. But– and here’s some real talk now– they rarely make it into a recipe. By the time we’re done shelling them, they have been mostly eaten raw. And if not, they’re a stand-alone side for our summer meals. 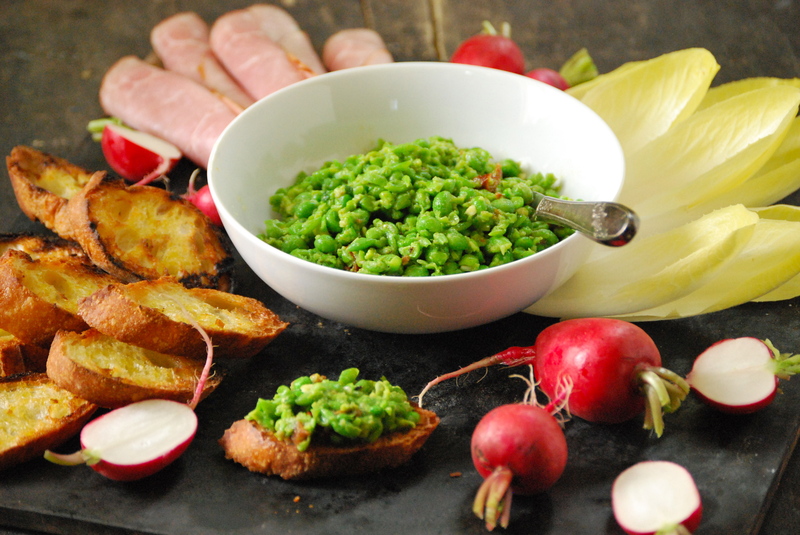 Here, I wanted to keep things simple, yet incorporate peas as the star ingredient. 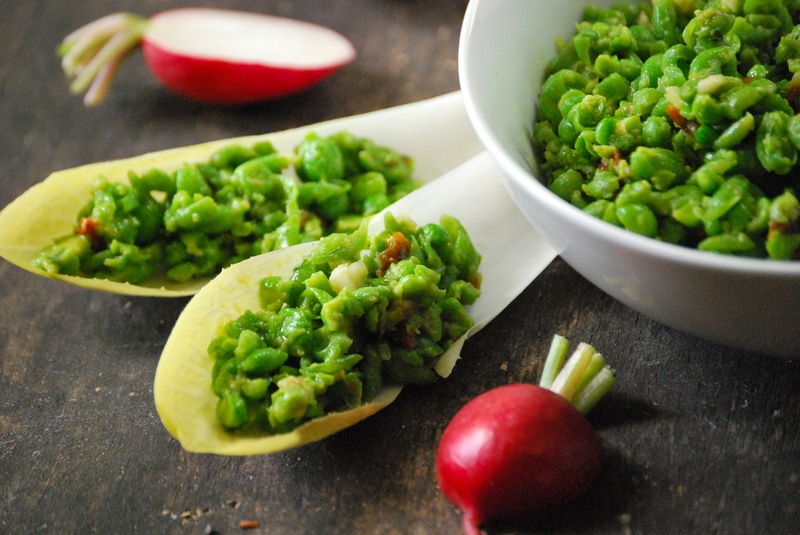 For this dish I’ve added a few simple ingredients and a different style of preparation in order to turn ordinary peas into a delicious and healthy appetizer. 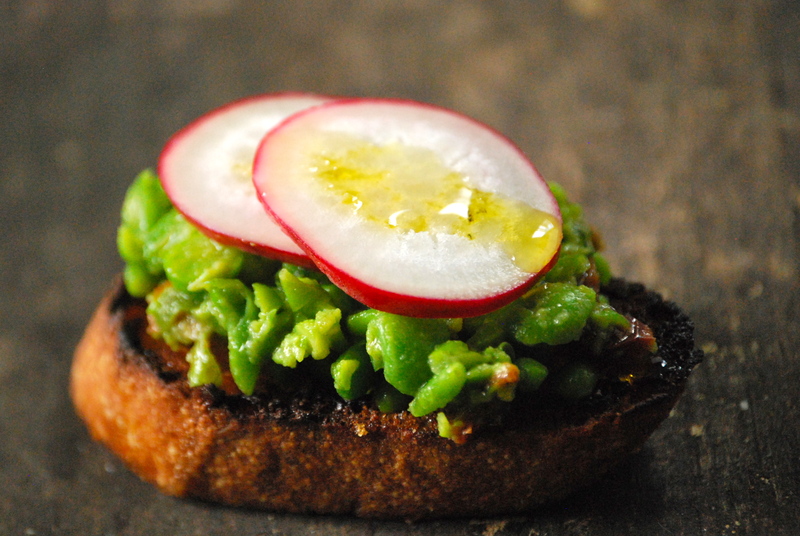 Sun-dried tomatoes, garlic, mint, and a bit of anchovy really work with the subtle flavor of peas. 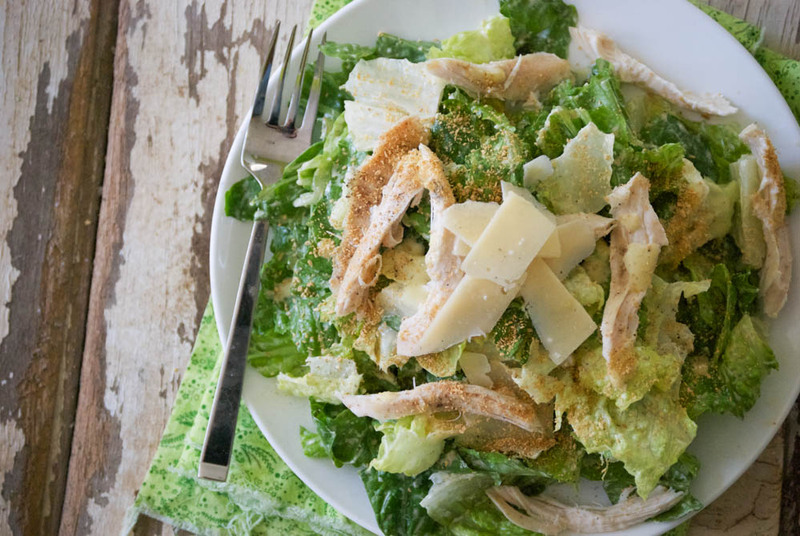 Don’t be scared of the anchovy– it adds depth, a bit of saltiness, but doesn’t taste fishy. Add a few other nibbles, and you’ve got yourself a meal. 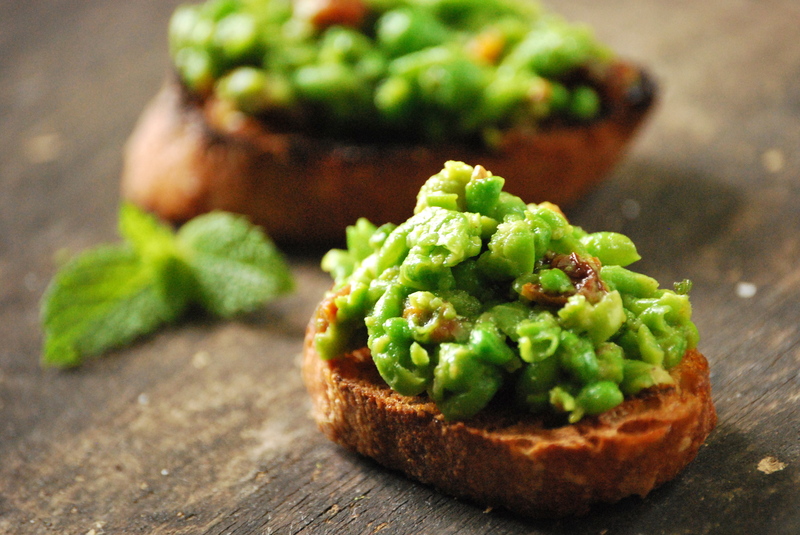 Make them with your freshly shelled peas, if you have them, or just rely on a bag of frozen organic ones from the freezer. It just takes a few minutes from start to finish to get this delicious spread on the table. My favorite way to serve this spread is on a grilled baguette brushed with olive oil and sprinkled with sea salt and black pepper. It is heavenly. 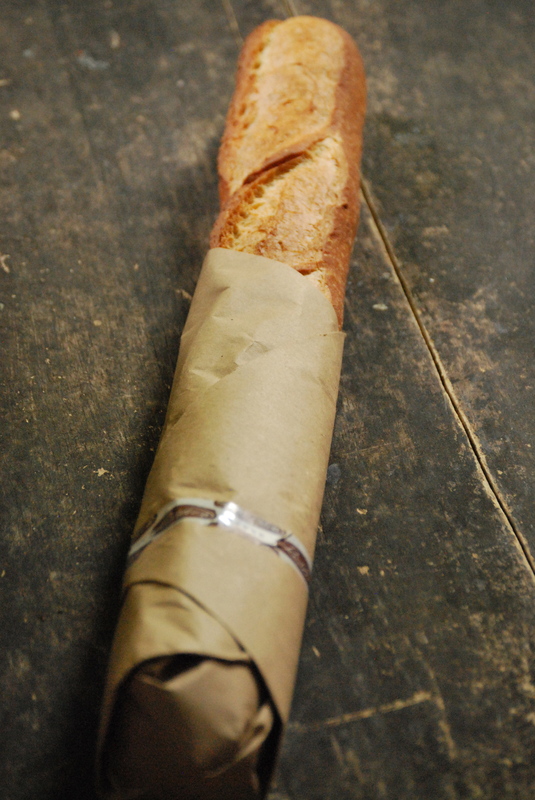 And if you’re worried about the bread, no problem. 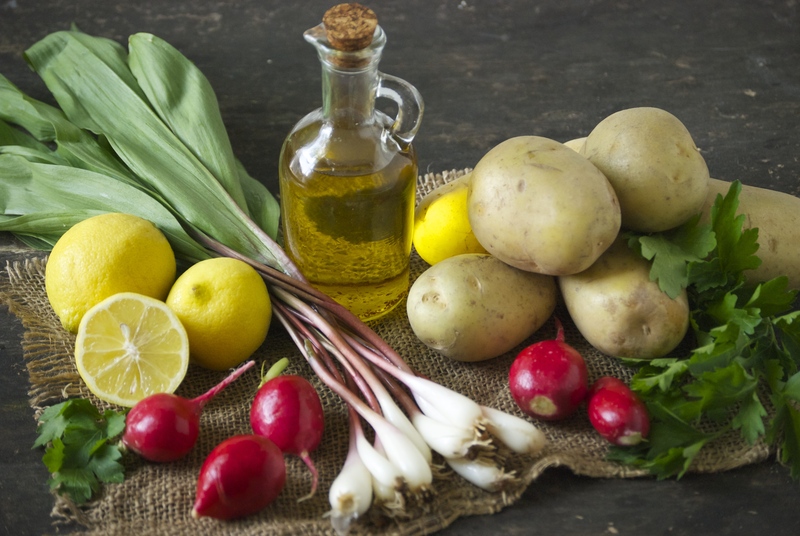 I also serve it along with other vegetables, including radishes and endive. It’s brilliant. As for the endive, if you’re not familiar with it, you should become so. It’s a wonderful vegetable that is fantastic served with spreads– the shape makes it easy to fill. It tastes great, and is a wonderful option if you are gluten-free or just trying not to consume as much wheat. 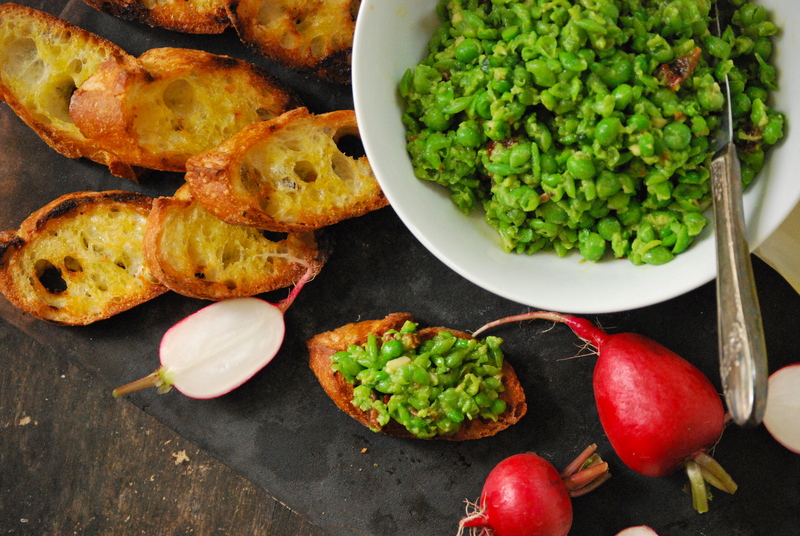 These smashed summer peas are a delicious healthy option for your 4th of July celebration (for my American friends) this weekend. 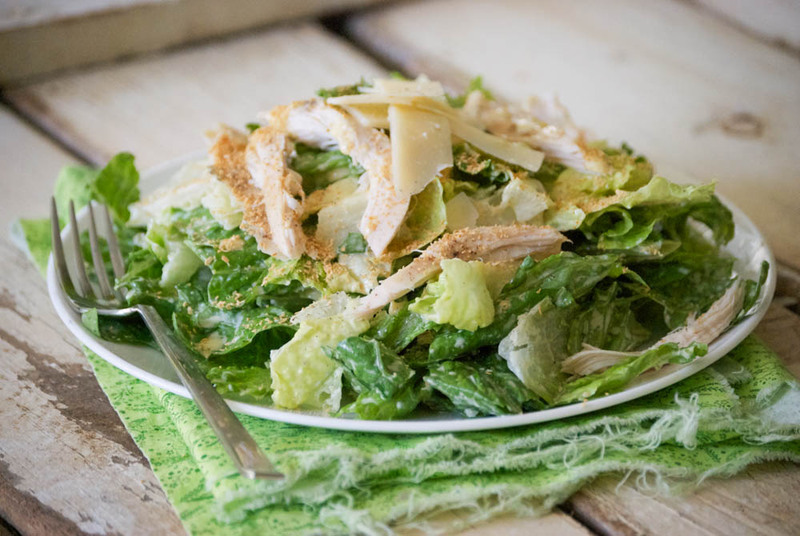 It’s easy to get caught up in the moment and over-indulge on chips, burgers, and all other sorts of less-healthy foods in the midst of celebrating. With this on your table, you don’t have to worry about it. Hope you enjoy! 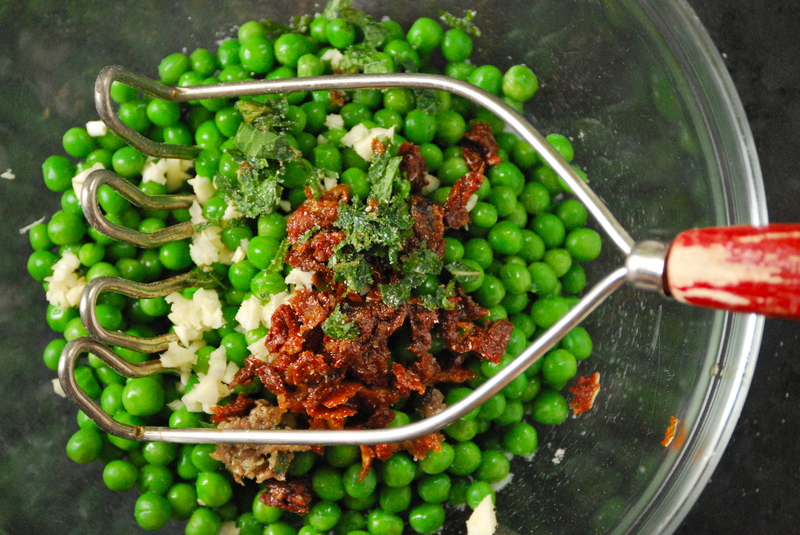 In a medium-sized bowl, add the peas, garlic, anchovies, sun-dried tomatoes, lemon, salt, olive oil, and mint. Using a potato masher or fork, smash the ingredients together. The final texture is up to you. I like it to be a little bit creamy, with definite chunks of ingredients within it. Taste and re-season, if necessary. 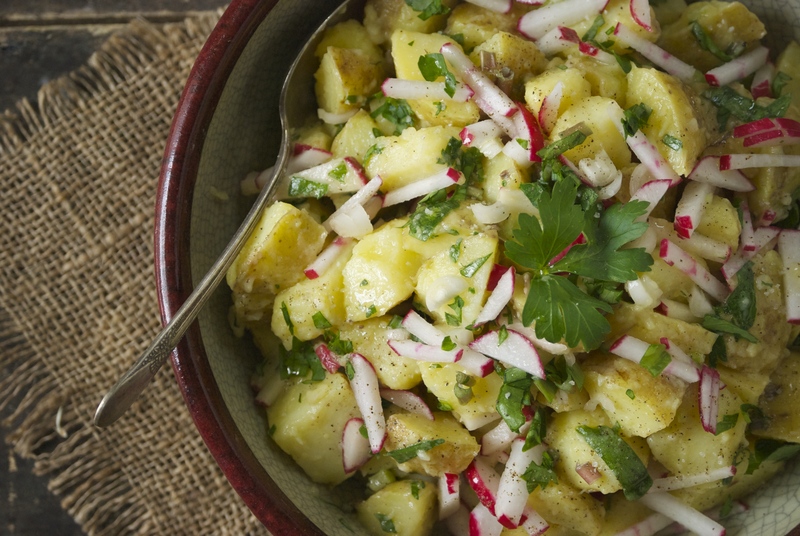 Serve it with endive, radishes, and grilled bread. Enjoy! I hope you all have a wonderful and safe 4th of July!